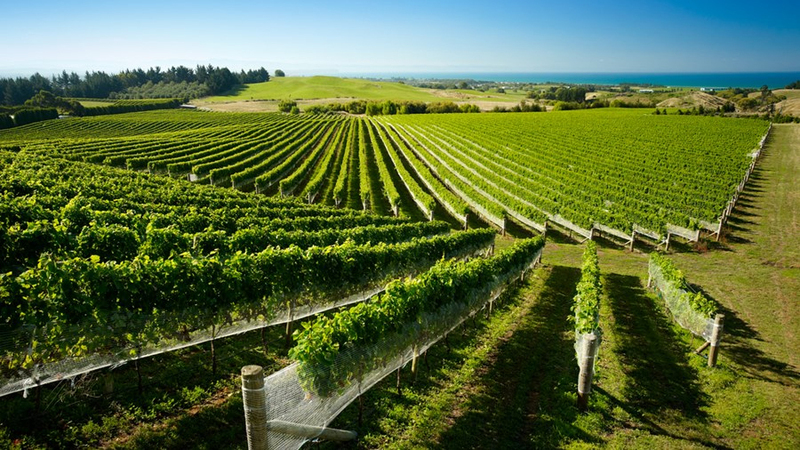 The New Zealand wine industry continues to perform well on the back of profitability for wineries of all sizes, strengthening balance sheets and a healthy propensity for innovation. The 2018 Wine Industry Benchmarking and Insights survey report, entitled Growing Smarter, released today by Deloitte and ANZ Bank in conjunction with New Zealand Winegrowers, tracks the financial results of 36 survey participants accounting for 44 percent of the industry by litres of wine produced, and 35 percent by export sales revenue generated. Deloitte partner Peter Felstead says that the 2018 results show all categories of participants recording positive profits before tax for only the third time in the twelve year history of the survey (2014, 2016 and 2018). “In line with previous years’ results, larger wine companies with more than $20 million in revenue show the largest average profit after tax of 18.7 percent of revenue, with smaller wineries generally achieving lower returns and with greater variability amongst respondents.” says Mr Felstead. ANZ General Manager for Commercial & Agri John Bennett says this year’s survey highlights the importance of innovation in the industry. “The survey results indicate a positive correlation between innovation and the financial performance of wine companies,” Mr. Bennett says. “We are increasingly seeing businesses investing in technology and innovation which is leading to better business decisions. Investing in technological advancements in plant and equipment was identified as important to 94 percent of survey respondents. According to the survey, wine companies are adopting digital tools to improve customer and staff experience and engagement, and to drive improved business decision making. Larger wineries are leading with a broader range of digital tools, including in the uptake of more sophisticated Internet of Things (IoT) solutions. While at the other end of the spectrum, many smaller wine companies are leveraging technology to connect and engage with their customers to maintain competiveness in a tight market. The report shows 2018 saw a 1.8 percent lift in average prices received by New Zealand wineries after sales outstripped supply during 2017. Prices per litre ranged from NZ$3.96 per litre for bulk export wine, NZ$8.47 per litre for packaged exports and NZ$10.34 per litre for supply into the domestic market. In terms of New Zealand’s wine exports, 80 percent is bought by just three markets – the US, UK and Australia. However, the price for New Zealand wine exported to the Asian markets of China, Hong Kong, Singapore and Japan is twice the average export price. These Asian markets account for just 2.5% of our wine exports indicating significant growth potential. Furthermore with reduced tariffs brought about by the CPTPP, Canada (already New Zealand’s fourth largest export market) and Japan (the tenth largest) are shaping up as top candidates for growth opportunities. Ah, the romance of it all! Sitting on the porch of your house in the vineyard, surveying your grapes and drinking a glass of your latest release. But it's not like that! It's backbreaking work; month after month after month. A constant battle between the NZ$, insect attack, drought/rain and the Processors. After a decade of toil, and if you're really lucky you've broken even, its time to hand over to the next dreamers with stars in their eyes. Failing that, cut the whole lot down and put it into fruit trees (cherries, if it's Central Otago). The fruit will face the same enemies, but will likely be a financially better bet. Its always been a great industry to lose money in if you've got heaps of money to burn!